"By 2005, the Pentagon had already amassed 34 million names and information, on young people, creating the largest repository of information on 16 to 25 year old youth, in the country" says the US military. 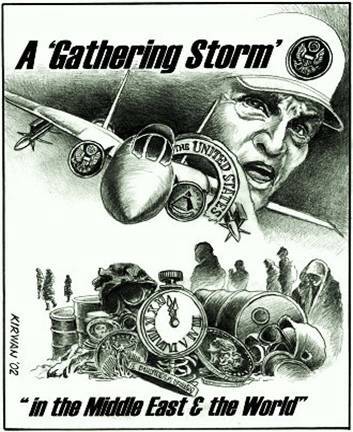 By 2005, the Pentagon and the SECRET government programs that had begun spying on the American public seven full months before 911; had already been at this task for four long and very secret years. About four months into Obama's 'term' as dictator, the White House introduced a program of voluntary service to the country that was to involve American youth in a compulsory but non-military capacity that would be fully twice the size of the US military-that would be a force of 5 million volunteers. This awakened grim memories among many, of Hitler's Youth Corp that was created by the Nazi's at the end of the Third Reich. David continues: 'All highschools are required by law to furnish directory and contact information [email and cell phone, as well as home phone numbers] on all highschool juniors and seniors to military recruiters-unless their parent choose to 'opt out', which can only be done by contacting the Pentagon. This invasion of privacy was formalized by Cheney-Bush and is buried in the No Child Left Behind legislation. This transformed the Education Act into the most powerful military recruitment tool that the armed services have had-to date. "March to Success" www.marchtosuccess.com is a website that the army spent $1.2 million on. The site provides tips to young people on standardized test taking and only at the very bottom is it mentioned, that it is sponsored by the US military. Teachers from all around the country send students to this website ostensibly to provide them [the students] with a free standardized test taking pitch, which was designed by the top testing-firms ~ and yet this is a website run by the US army. You wouldn't know that unless you noticed the little tag line in the lower right hand corner that links to www.goarmy.com , which is the Army's recruiting website; and in the army's own words "is one of the Army's most effecting recruiting tools". The additional benefit to the government of their now very specific tracking of the youth of this nation could, and probably is, being used to target those young people that Obama wants to enlist in his volunteer army of the young, that are to watch their fellow citizens and report anything that their young minds find to be potentially dangerous, or a threat to the national security of the United States. So whether the young end up in the military itself, or in something as odious as the Obama Youth Corp-it is clear that this government has all but imprisoned far too many in their secretly collected files, coupled with their mandated records of the habits and thoughts of the young, so that the chances of individuals being able to have a life outside this government service sector would seem to be all but impossible, "going forward," as Obama himself might say. It would seem very late in the proverbial 'day' to try and end these practices-yet the way this series of programs came into being might just anger a huge number of ordinary people-once they discover that Cheney-Bush-Obama have been trying to steal their kids for cannon-fodder or for clandestine operations against them as parents, in their own homes. Has it really gone this far; that our youth can be stolen from us - right in front of our faces - and yet so few have noticed that this can be packaged as part of the "Promise of Tomorrow"?